What Do I Need To Do To Live Forever? And the man said, The law tells me to love God with all my heart and soul and strength and mind and to love my neighbour as myself. And Jesus answered; a person was traveling from a town called Jerusalem to another town called Jericho. And as he was traveling, a bunch of thieves attacked him; they took his clothes and beat him up so bad that he nearly died. And when this poor man was laying on the road, half dead, a priest saw him there and quickly walked across to the other side of the road pretending not to see the poor man. But a man called a Samaritan saw the man laying on the road and he felt sorry for him and went over to him. He cleaned up and covered his wounds and put him on his own animal to take him to a motel where the traveler continued to took care of this wounded man. And the lawyer who had asked Jesus the question about eternal life answered, The good neighbour was the kind man, the Samaritan, who took care of the poor fellow who had been robbed and beaten up. Categories: LIVE FOREVER | Tags: eternal life, Good Samaritan, Jericho, Jesus, levite, LIVE FOREVER, Luke 10:25-37, minister, pastor, priest, religion, religious leaders, writing101 | Permalink. is a full-fledged Jew or Israelite. The above descriptions of children of Israel is according to biblical principles. Scripture does not tell us that in order to be considered part of GOD’s posse one needs to be of Jewish heritage, be signed up with a church, synagogue or denomination. GOD says; Yet will I gather others to him, beside those that are gathered unto him … Mine house shall be called a house of prayer for all people. Jesus, who is of Jewish heritage, says where two or three are gathered in his name, there am I in the midst of them. And whosoever will let him take the water of life freely. Categories: A BIT OF EVERYTHING, SONGS and VIDEOS | Tags: Biblical Foundation Academy, children of Israel, circumcision, God's posse, Karaite Jews, religion, The LORD bless thee | Permalink. Categories: A BIT OF EVERYTHING | Tags: Adam and Eve, church heaven, eternal life, GOD loves obedience, history book, Jewish nation, Jewish people, Joshua and Caleb, Noah's Ark, record keepers, religion, writing101 | Permalink. One of my fellow bloggers and new found friend, Meredith, asked; “Please tell me the rest of your story, where you were baptised.” I could respond by saying; “Stay tuned, I’ll get to that eventually.” But I said that already to another fellow blogger Inspiring Max who said that she’ll be interested in hearing about it (my story) and laughing with me. I don’t want to be seen as someone who is fobbing people off so I will answer the question regarding baptism next and I promise to tell later why God hath made me to laugh. Click here if you haven’t read the first part of our baptism story. The bible is the authority on things religious. Our planned baptism was for me one of the most significant events in my life. To be baptised was more momentous to me than it had been to get married or give birth; precious and special as these occasions were. The events surrounding our planned baptism left us bewildered and in turmoil. At the time we did not understand what was going on at all and felt confused and rejected and abandoned. These emotions were quickly followed by clarity and elation as soon as we understood that the church is not God. Nor does the church always represent God. I am convinced that the majority of religious leaders mean well but I also know that the Bible is the Word of God and therefore, as far as I’m concerned, the Bible is the authority on things religious and not the church nor their leaders. What my daughters and I had gotten caught up in is just your regular church doctrine and politics. There were issues playing in the background of which we were completely unaware at the time. For instance we discovered later why we had to ‘sign up’ with the church and agree to abide by their doctrine in order to be baptised. Most churches expect their members to contribute ten percent of their income to the church and we would no longer have been in charge ourselves as to where to make our donations. In hindsight this could have been a smart move because in those days I was going into debt at a rate of around ten grand a year. Had I partnered with the church, they could have carried some of this. That’s meant to be a joke btw to lighten this tale up a little. As an aside, our favourite charity feeds one hungry child for a whole month for only six bucks. We don’t think it gets any better than that. If the only thing any of us would do is feed one hungry child each month for just six bucks, I wonder if that could prevent children all over the world dying from hunger? Back to church doctrine. The other thing, which we did not realise at the time either is that there are quite significant disagreements between churches for instance with regards to keeping the Sabbath or not keeping the Sabbath, baptizing adults or not baptizing adults and so on and so forth. It is my understanding from reading the Bible that in Jesus’ day all followers kept the Sabbath and all people joining themselves to the LORD were baptised. Jesus himself kept the Sabbath and was baptised. All my daughters and I wanted was to be baptised and celebrate this with our whole town. Whilst we were washing and ironing our pretty white dresses and shopping around for cake and flowers, all our pastor and his mates seemed to be focused on was to preserve the status quo. To them this meant that we had to sign on the dotted line and our non-denominational pastor seemingly was not considered ‘worthy’ to baptise us because he was not registered with a church. In addition, baptisms are apparently meant to be quiet private church affairs, not to be opened to the public. We had never distinguished between believers and non-believers and we certainly didn’t intend to start doing so now. The three of us continued reading the Bible and discovered that the Bible does not tell us that we need a years worth of indoctrination before we are baptised. Quite the contrary. The Bible does not tell us that baptism needs to take place in a quiet secluded place either. Jesus was baptised in the Jordan river, at a public place by his cousin. The Bible does not tell us that we need to sign up with a church or denomination to be baptised. Nor are we to be baptised in the name of a church or denomination. What the Bible does tell us with regards to baptism is that we are to be baptised in the name of The Father, The Son and The Holy Ghost. The Bible is very clear on what baptism entails. It is not complex at all. What is complex however is that there are approximately 41,000 different Christian flavours (denominations) and each of these churches has their own doctrine. If all churches were to follow God’s Word there would be no need for a church doctrine because the Bible would be their doctrine. In Jesus’ day ‘congregations’ were named after the place name not after a particular religious flavour. My family follows God’s Word and his Son Jesus. We don’t do any of the flavours because as we discovered with our baptism, church doctrine often enough is not in agreement with God’s Word. Jesus prayed for his disciples to be as one. Not 41,000 different flavours, but one. Jesus also said, By this shall all men know that ye are my disciples, if ye have love one to another. In addition Jesus said, where two or three are gathered together in my name, there am I in the midst of them. My daughters and I make three, with Jesus is four and this is how we were baptised at that lovely place, the nice bright open clearing at our town’s river mouth where we originally planned for our baptism to take place. In the name of the Father, The Son and the Holy Ghost. Amen. 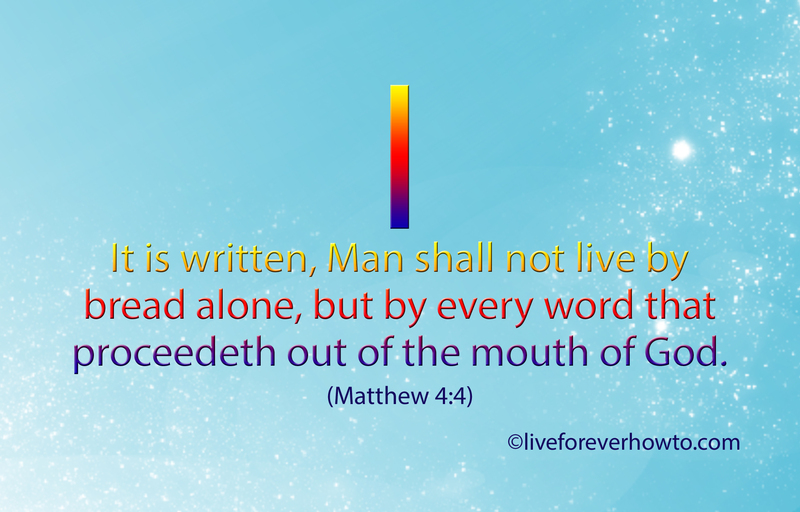 ABOUT THIS BLOG – We’re researching the truth of living forever according to GOD’s Holy Word. Popular opinion tells us that everyone who ‘believes’ and has ‘faith’ will go to heaven. Is this true? I decided to ask the prophets about the truth of it all. Categories: OUR BAPTISM | Tags: 41000 Christian denominations, bible is the Word of God, church doctrine, feed the hungry, Inspiring Max, Meredith, OUR BAPTISM, our baptism take two, religion | Permalink.